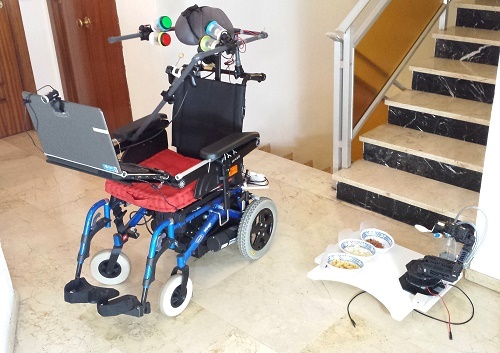 Synopsis: Modular system for assisting people with cerebral palsy. It has many different input devices: buttons, PS3 gamepad, facial and gaze tracking, computer GUI. It has 4 modules: movement using a powered wheelchair, feeding using a robotic arm, communication using a laptop and control using Arduino.